Savage Cinema is the adventure and action sports films section created in 2013 in collaboration with Red Bull Media House. A pioneer initiative bringing the most ambitious producers of the genre to San Sebastian along with enormously admired moviemakers and athletes who present the world or European premieres of their latest productions. The section is an annual showcase of the most ambitious titles, those that show us what’s abreast in the sports world, the latest exploits, tales of great adventures and the passion of their key players for achieving unimaginable goals. 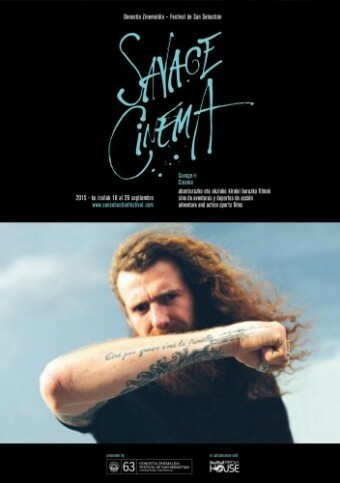 Following the success of its first two editions, Savage Cinema kicks off its 3rd adventure as an international reference in the presentation of movies in the genre with the focus on turning San Sebastian into the global gathering of cinema, action sports and the general public. SAVAGE CINEMA joins the Festival as a non-competitive section with its own selection committee: Maialen Beloki (member of the San Sebastian Festival Management/Selection Committee), Phillip Manderla (Filmmaker and Head of Feature Films at RBMH) and Sancho Rodríguez (Coordinator of Savage Cinema). SAVAGE CINEMA turns the spotlight on San Sebastian as a global reference in the coming together of film and action & adventure sports to present the audience and the industry the best titles each year in emotion and adrenaline-packed film sessions. In 2015 Savage Cinema presents the biggest and most varied selection of titles to date. A total of 8 works going deeper into the big action sport themes: the lineage and transmission of passions, freedom, the ambition to do better and earn recognition, the value of life and risk pushed to the limit of death.